But, we're not just going to draw faces that are looking forward. We have got to learn to manage perspective to be able to render a human head (Manga style) in any position. 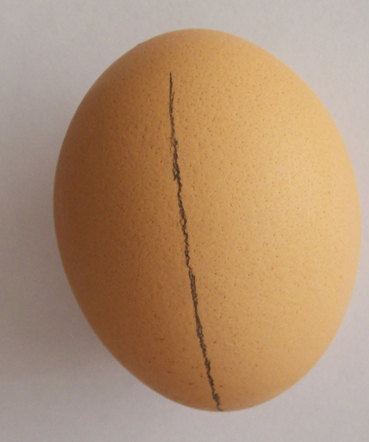 To do that, we are going to use something anyone can find in their homes: a simple egg. 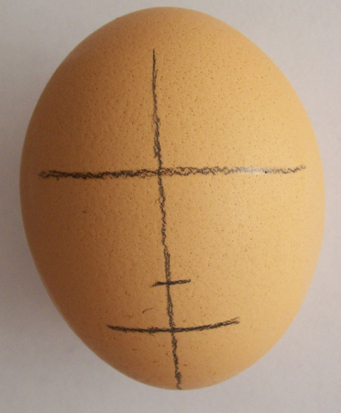 We grab, then, an egg and with a pencil, we draw a guide line from top to bottom. Then, we draw three horizontal lines to mark facial traits. This will be our simple model to study the position of different facial traits depending on our point of view.